Head out north of Patitiri and up the island for about 6 km. You will come to a sharp right-hand bend where the road forks in two. 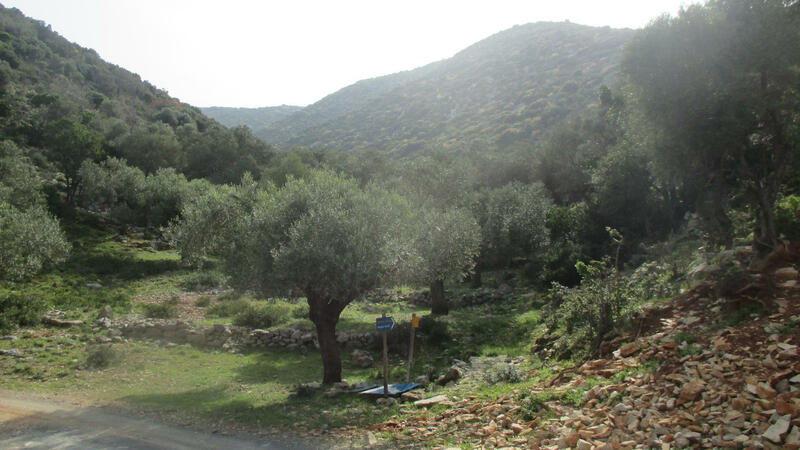 One road leads down to Steni Vala, and the other goes up to Gerakas. Just before the bend there is a parking area on the left with a walkers sign post, and a dirt road which will take you up to Megalo Horafi. Follow this gradual climb about 1km up through a ravine, past some meadows on the left. Follow the road round to the left. Keep climbing up and heading straight on enjoying the views out towards the islands of The Two Brothers on the left. You will soon come to a large clearing, called the Megalo Horafi (i.e. big field). From here you walk past the paved entrance and there you will find a smaller path leading off straight ahead from the curved road. 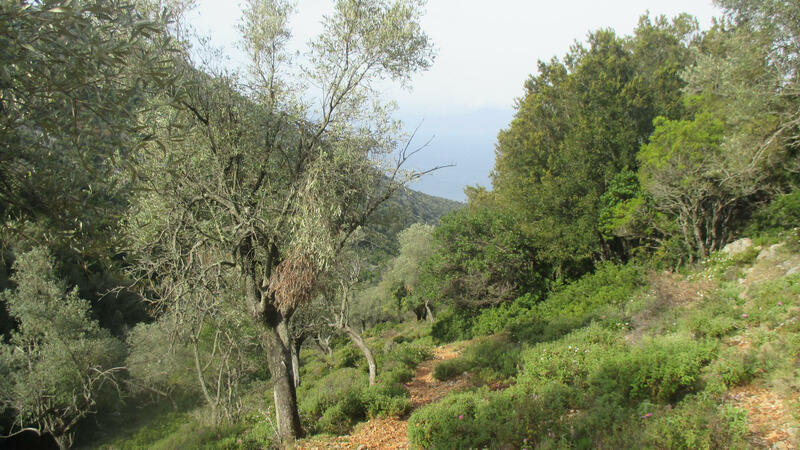 This path narrows and drops down slowly towards Megali Ammos for about an hour. 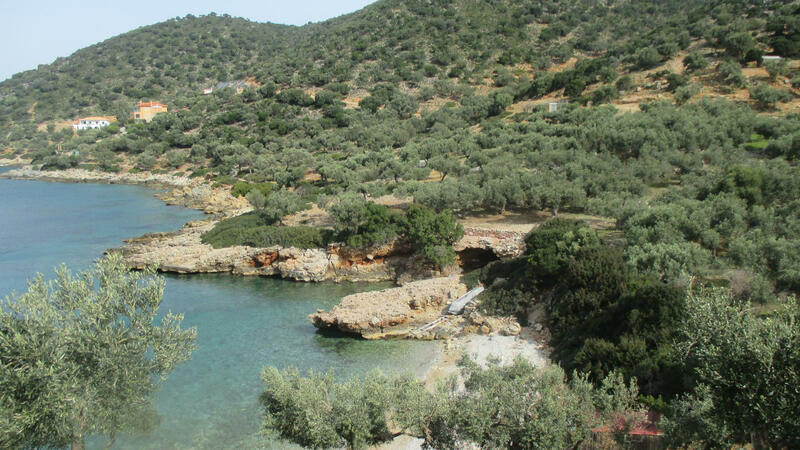 When you eventually come to a gate, you are close to the lovely bay of Megali Ammos where you can enjoy a cooling swim. 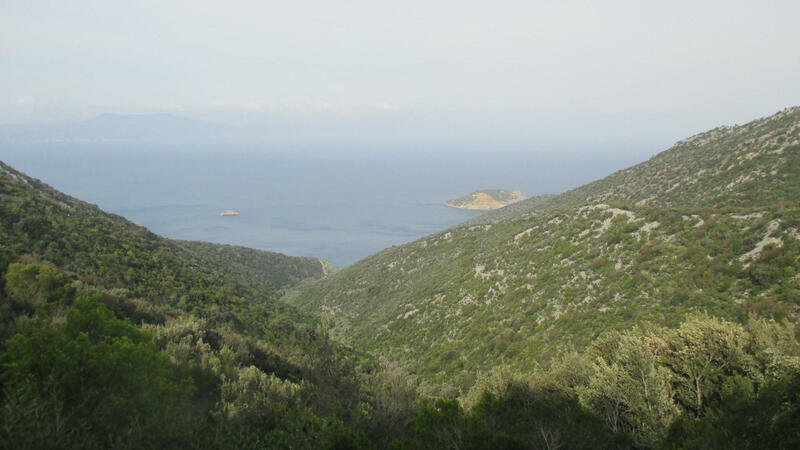 To walk a circle back to Megalo Horafi, continue along the dirt road keeping the sea to your right side for about 15 minutes and when you come to a large right-handed bend in the road, notice a small path to the left with a slight paved entrance. This path starts to go up through a small ravine and when you pass through a fence, the path appears to vanish, but keep to the left side of the ravine and you will soon pick it up again. As you walk up the ravine the path will get a little wider at first, but then narrows again and another path joins in. Keep to the left while this path continues up the ravine for approx. half an hour. 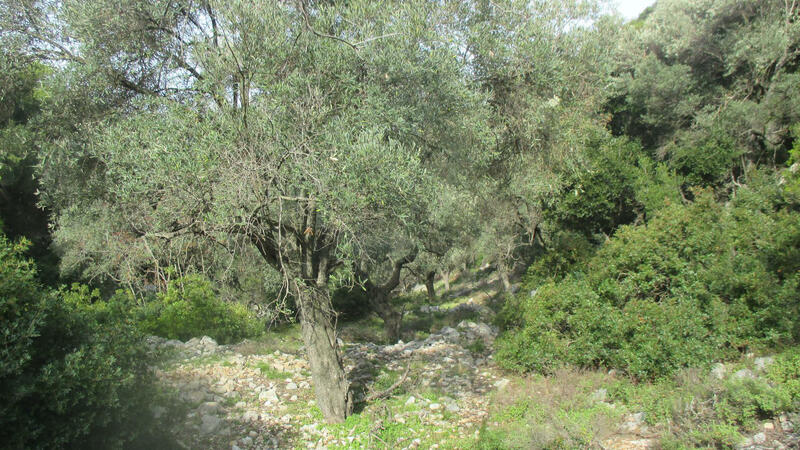 When you come out of the forest you will pass through an olive grove. 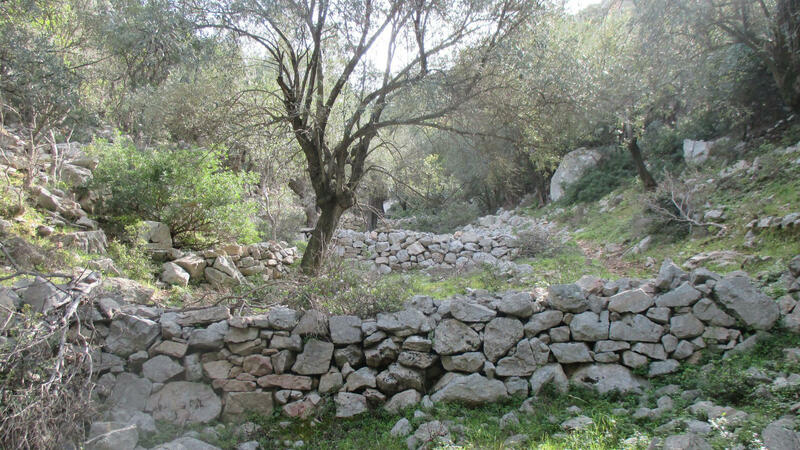 Look out for stones and trees marking the path with red paint. These lead you back in the forest for another fifteen minutes. After that, you should be back on the dirt road close to Megalo Horafi. Follow the dirt road back down to the parking area. 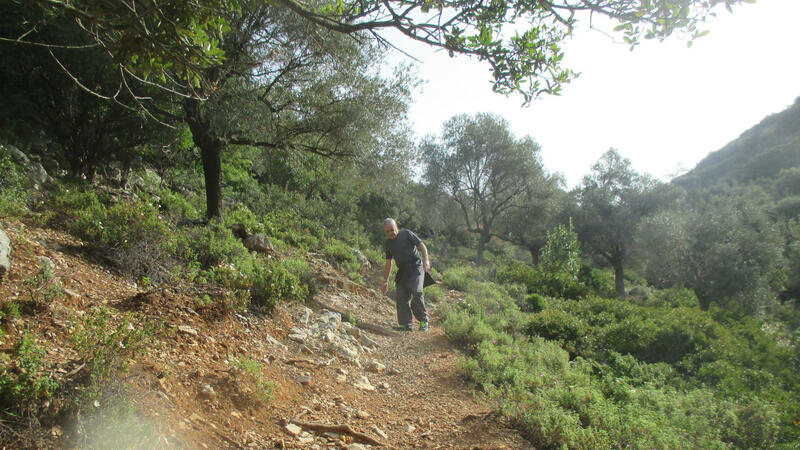 This walk will usually take about five hours, including stopping for a swim at Megali Ammos. This is a brief description of this walk, a walkers map and a walking guide book will assist you further.